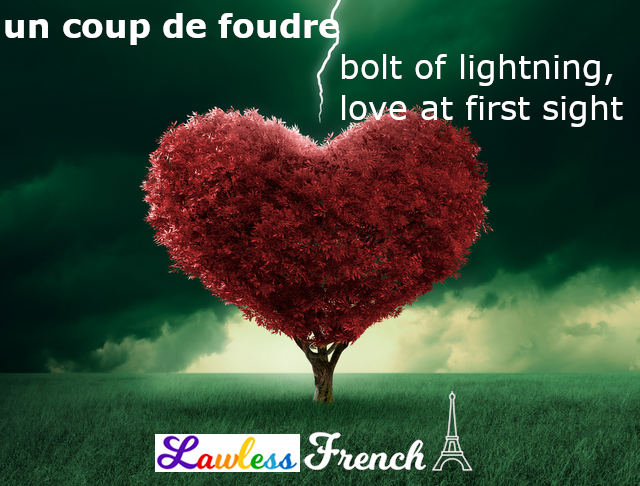 Usage notes: The French expression le coup de foudre has a literal and a figurative meaning, though the latter is more common – especially among English speakers. J’ai vu un coup de foudre tout à l’heure. I saw a bolt of lightning a moment ago. Attention, il peut y avoir des coups de foudre. Be careful, there might be lightning. 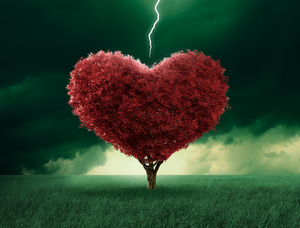 Figuratively, un coup de foudre indicates “love at first sight,” which I think makes perfect sense, as that is quite an electrifying feeling. You can choose between être and avoir to express slightly different nuances. J’ai aperçu mon collègue, et ça a été le coup de foudre. I got a glimpse of my colleague, and it was love at first sight. Arriver dans un nouveau pays est toujours un coup de foudre. Arriving in a new country is always love at first sight. J’ai eu le coup de foudre pour mon collègue. I fell in love with my colleague at first sight. En arrivant dans un nouveau pays, j’ai toujours le coup de foudre. When I arrive in a new country, it’s always love at first sight.